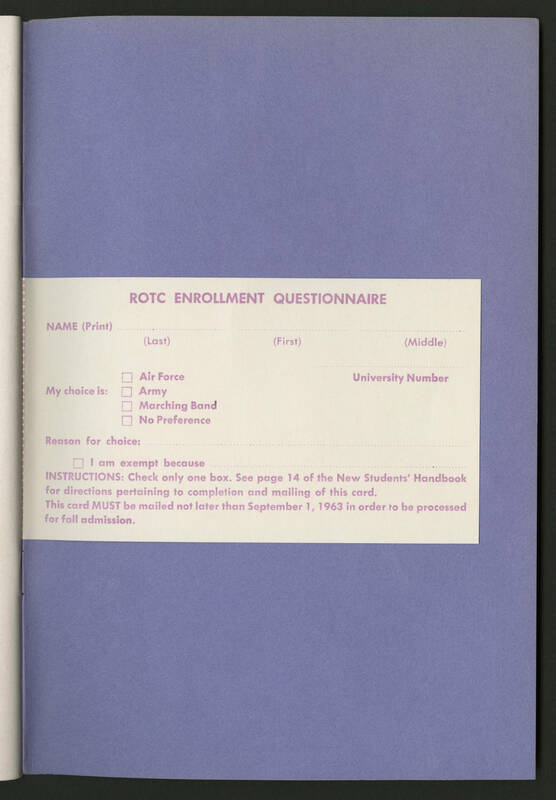 ROTC ENROLLMENT QUESTIONNAIRE NAME (Print) (Last) (First) University Number My Choice is : Air Force Army Marching Band No Preference Reason for choice: I am exempt because INSTRUCTIONS: Check only one box. See Page 14 pf the New Students' Handbook for directions pertaining to completion and mailing of this card. This card MUST be mailed not later than September 1, 1963 in order to be processed for fall admission.